Obituary for Anneliese Dupuis | Pearce Funeral Home, Inc.
Calumet: Anneliese Dupuis, 89, of Calumet passed away peacefully at the Houghton County Medical Care facility on May 29, 2018. 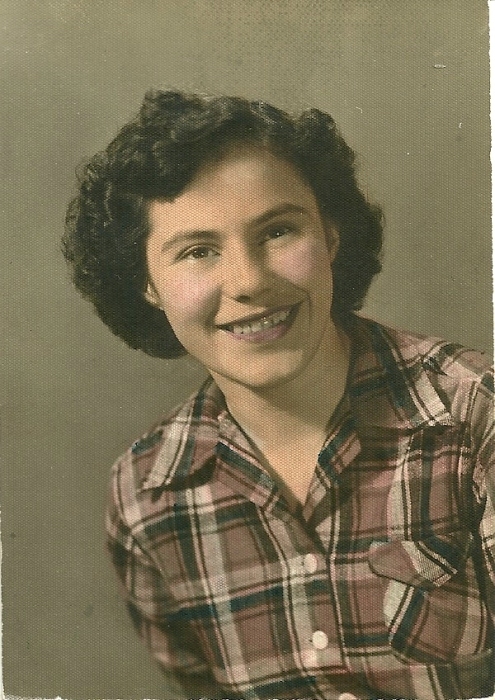 She was born on January 15, 1925 in Bad Vilbel, Germany to Heinrich and Marie Magdalene (Krieg) Winter. She attended school in Germany and moved to the United States after her marriage to Gordon Dupuis. They were married on August 20, 1949 at St. Joseph Church in Frankfurt, Germany. Then lived in Lake Linden for a time before moving to Detroit for 31 years. Upon retirement in 1981, they moved back to Calumet, Michigan. She is preceded in death by parents, husband, 5 brothers, and 3 sisters, and survived by two sisters-in-law, June Dupuis and Lillian Long, as well her nieces and nephews. She leaves behind family and friends who will miss her pleasant company and indomitable spirit. Anneliese donated her time and talents to many organizations to help others. Her generosity and optimism are a sign of her faith in God and love of all of His beautiful creations. Her presence will be greatly missed among her friends at The Church of Jesus Christ of Latter-Day-Saints and Little Brothers Friends of the Elderly. All are invited to come celebrate and remember Anneliese Dupuis on Tuesday June 5, 2018. Visitation will be held from 4:30-5:30 pm followed by services at 5:30 pm at The Church of Jesus Christ of Latter Day Saints located at 47691 Meadow Street Houghton, Michigan. https://www.lds.org/maps/meetinghouse Burial will be at the Mount Calvary Cemetery in Lake Linden. The Pearce Funeral home in Lake Linden is in charge of arrangements. Memorials in lieu of flowers may be made to Littler Brothers Friends of the Elderly Upper Michigan Chapter in Hancock.